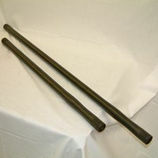 Manufactured from '4340' Alloy Steel. All Ashcroft Halfshafts come with a 5 year breakage warranty. Inc. VAT: £312.00 Inc. VAT: Info UK VAT charged at 20%. Ex VAT £260.00 Ex VAT Info Outside of EU and EU VAT registered companies only (not UK). Inc. VAT: £360.00 Inc. VAT: Info UK VAT charged at 20%. Ex VAT £300.00 Ex VAT Info Outside of EU and EU VAT registered companies only (not UK). Inc. VAT: £378.00 Inc. VAT: Info UK VAT charged at 20%. Ex VAT £315.00 Ex VAT Info Outside of EU and EU VAT registered companies only (not UK).